The London Candle Company Best Price Guarantee. Best Price Guarantee. At The London Candle Company we supply top quality, long burning candles and we want to ensure our already low prices remain the most competitive in the UK market. We beat prices on like-for-like products by 2.5%. If you are purchasing elsewhere, we will beat the price you are paying by 2.5% (proof of current price you have been paying in last three months required). 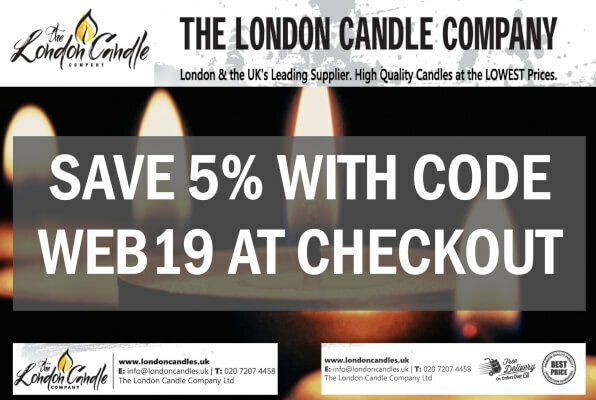 Please call 020 7207 4458 or email info@londoncandles.uk for further information. Best price guaranteed on like-for-like products in the UK.